However, did you know that our house is just a little over 600 square feet?!?! That's 2 adults, 1 toddler (and she comes with a lot stuff), and a 100 lb. dog in that 600 sq. ft! We made "tiny house living" cool before it was even a thing. It has definitely it's benefits. A tiny house comes with a tiny mortgage, and that has afforded us to do many other things. There are drawbacks too. When you live in a small space, you HAVE to keep it organized and clutter free at all times or it will literally drive you insane. The clutter can take over, leaving you feeling very claustrophobic in such a tiny space! That is why I have become quite the expert on getting rid of unwanted household mess. Here is my simple two-step to keeping our home clutter-free. Every item in out house has to fall into one of these two categories below, and I mean EVERYTHING! These categories can to applied when going through your closet, junk drawers, kitchen cabinets, offices... just about every space in your home. Is it functional/Does it serve a purpose? If it no longer serves a purpose or you're no longer getting any enjoyment out of owning it, it's time to let it go. At first, I wasn't very good at this, but living in such a small house, we had no choice. However, once you do it, it becomes easier, and even sometimes enjoyable! Everything has to have a home. Make sure everything in your home has a specific place that makes sense. Putting things back in their place when you are done with them will save yourself from unmanageable messes in the future. Baskets, boxes, and containers are my go-to for this step, especially now since we have a toddler and a million toys! I have baskets designated for toys, blankets, DVDs, magazines, you name it. Everything you keep has to have it's own designated spot in your home. 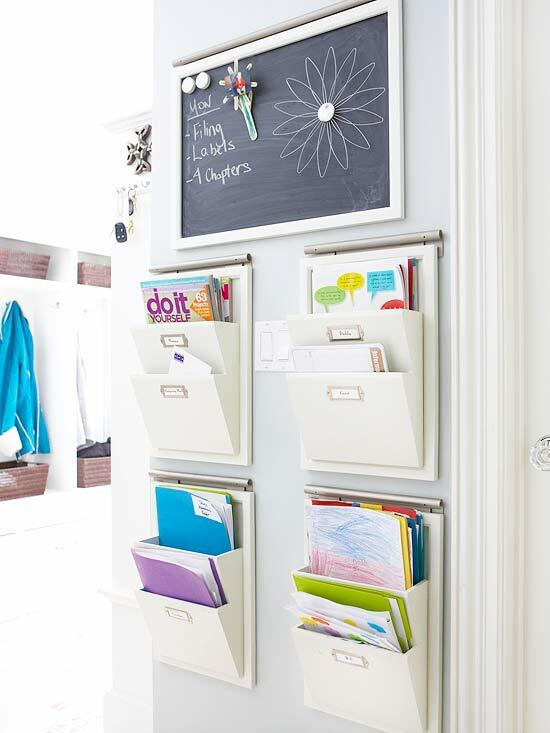 Get rid of paper clutter before it has a chance to pile up. When I get the mail, the junk goes straight into the recycling bin outside before I even get in the house. Magazines have a designated basket. Bills or any important papers (which I try to keep most paperless) get filed away. If you do this right these papers enter your house, They will never pile up. Go vertical and utilize empty real estate. Hats and jewelry get hung up on the wall. (You can find my DIY Jewelry Board from years ago here) Clothes not being used in the current season are stashed in bins under the beds. Hanging shoe organizers on the back of doors keep shoes from piling on the floor. 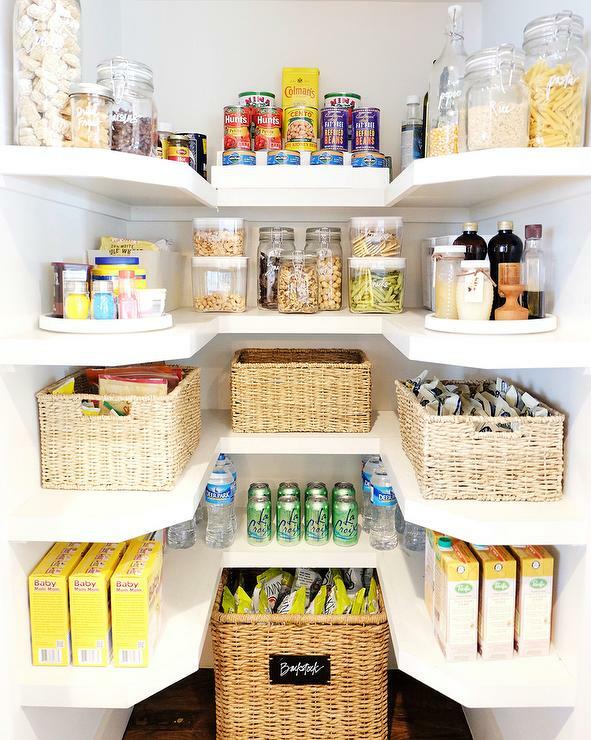 Those same organizers can also be used for hats and gloves inside the hallway closet, snacks in the pantry, or beauty products in a linen closet. Double duty furniture helps create more space in small rooms. Storage ottomans provide a place to put up you feet as well as great storage. Using a small dresser as a nightstand allows for more clothing storage in a small bedroom. We have this piece below in our living room that doubles as our office. It has a drop-down desk, a home for our printer, and has filing storage. "Be a ruthless editor about what you allow into your home to begin with. Consider each piece you bring into your home, asking yourself, 'does this serve a new purpose? Is it able to replace something else?' It's a universal thing to want to live better and in a more beautiful space, and the answer goes way beyond cleaning. You're creating your world with every object you let enter into your daily life, so act as a curator to your own environment. If you edit carefully, making sure every object has meaning and personal value, you'll eventually be surrounded by only what you love, and that much closer to realizing your dream home."